The above quote by Ava Du Vernay in an article entitled “Seeing the Bright Side” (Time, February 28, 2019) seems an apt approach to writing about the work of Solidarity and South Sudan these days. She goes on to say, “the vital moment comes when we each must understand that the social, political and historical connectedness born of traumatic experiences can and should transform to true… engagement with one another.” We see this in the #MeToo movement and in the action of the Parkland youth against gun violence. And we see this with the commitment of religious men and women of Solidarity with South Sudan. Solidarity is committed to peace-making and to gender equality. 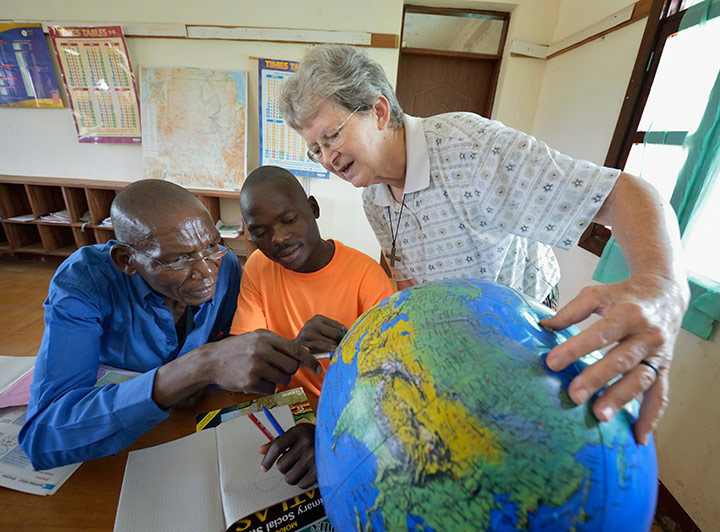 Members have “stayed the course” and are a hope-filled presence in the midst of civil war in South Sudan. Solidarity places a preference on recruiting women for studies to become teachers, registered nurses and certified midwives. In January, thanks to a grant from a European foundation, the Catholic Health Training Institute (CHTI) at Wau broke ground for construction of a new women’s dorm on the campus. When completed, this will enable the CHTI to recruit an equal number of women as men to join the three year program to become registered nurses and midwives. Solidarity seeks to raise additional funds needed to provide “scholarships” for more women to join the student body. We are still needing to raise $75,000 to cover operational expenses for 2019. This represents about 10 percent of the operational budget for this year. The cost to support one student for one year is approximately $6,500, which covers room, board, tuition and, if necessary for safety and security, transportation. There is some indication that the re-signed South Sudan peace agreement (September 2018) is holding. People remain hopeful, if not optimistic. The country has been down this road several times before. 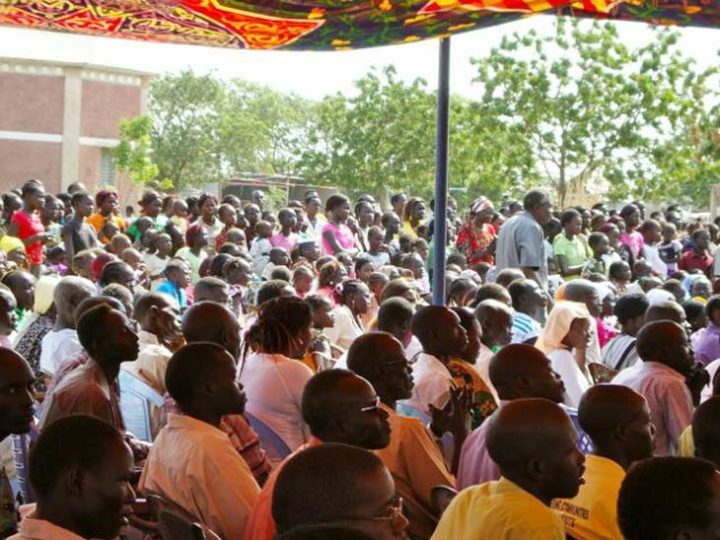 In Wau, the location of the CHTI, many who have been encamped at the Cathedral or the UN Camp are taking the courageous step of returning to their homes and plots of land to rebuild their lives. They will require assistance, as most have lost everything while fleeing to safety during this past five years. The South Sudan economy is in free-fall; the government is unable to pay salaries or even pay for the implementation of peace process. It is important that we continue to urge the United States and the international community to continue to support the people with humanitarian assistance so as to avoid the predicted famine. 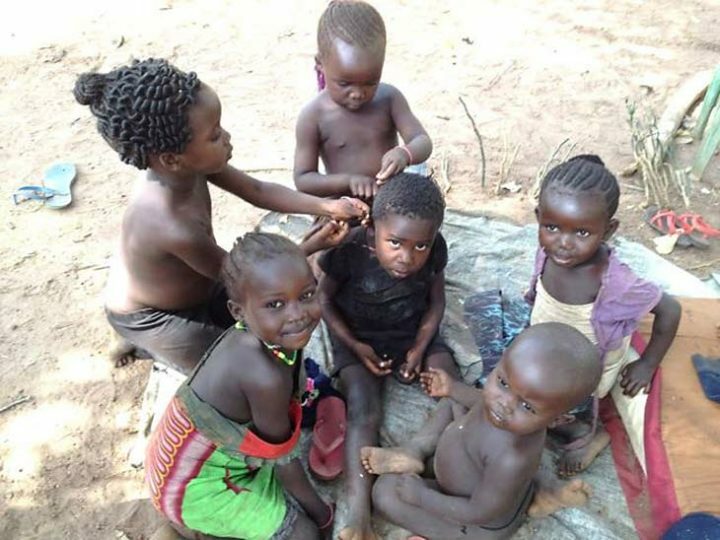 South Sudan has the potential, given its resources (oil, minerals, agricultural products) to feed its own people, but peace is essential for this to become a reality. We continue to pray for peace with justice for this newly independent nation. 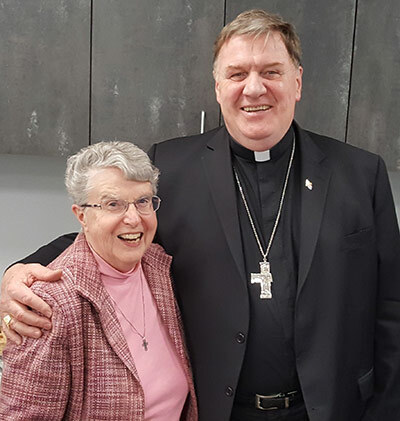 On another note: we were privileged to have Cardinal Joseph Tobin, CSsR, bless our offices when he visited us (Leadership Conference of Women Religious, Resource Center for Religious Institutes, and Friends in Solidarity) in Silver Spring, Maryland, on March 11. Cardinal Tobin was one of the early group of major superiors who supported Solidarity when he was general superior of the Redemptorists. 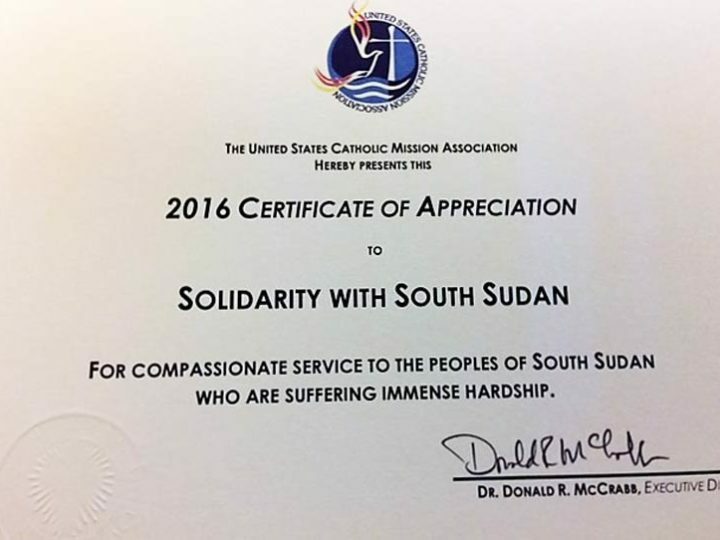 He continues to support the work of Friends as we support the work of Solidarity with South Sudan.